Introductory climbing courses: every Friday afternoon from 29 December to late March you can test this fascinating sport. 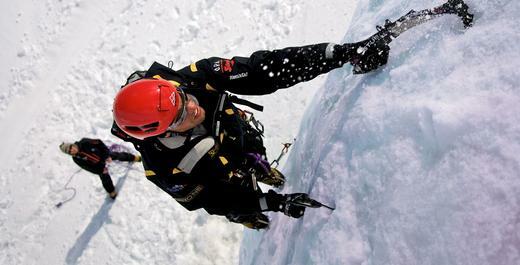 Ice climbing equipment is available on site. 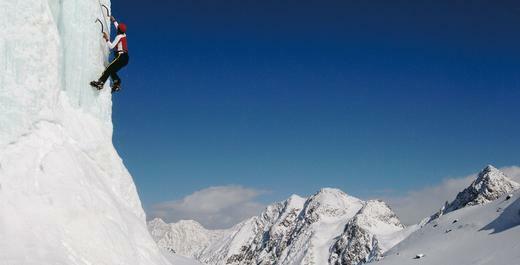 The Stubai Valley is a paradise for ice climbers.20m-high ice climbing tower right in the ski area of the Stubai Glacier, at the Gamsgarten mountain station The ice climbing tower is perfect for climbing courses for beginners and an excellent training opportunity for the advanced, Use is free of charge. Knowledge of appropriate belaying techniques is a precondition.